Golden Holiday Trees Gable Boxes 9-1/2 x 5 x 5"
Buy More Christmas Gable Boxes Save More! 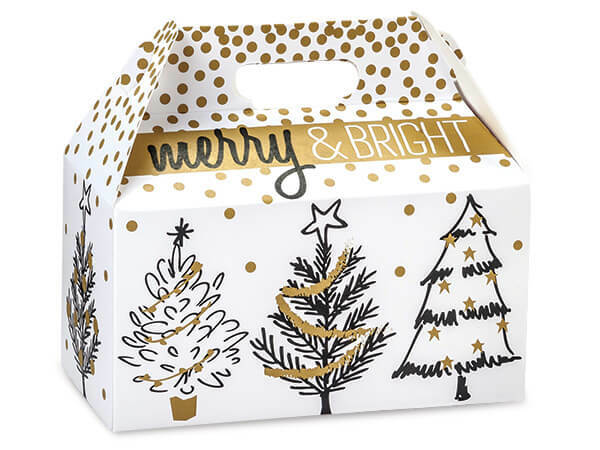 Christmas print gable boxes have a easy, pop-up design. Boxes come 6 to a pack and measure 8-1/2" x 4-3/4" x 5-1/2" or 9-1/2" x 5" x 5". Unique packaging for Christmas!